The arrival of each jet that comes to the Nice airport in Provence, France is full of passengers waiting to tour around this incredible city. 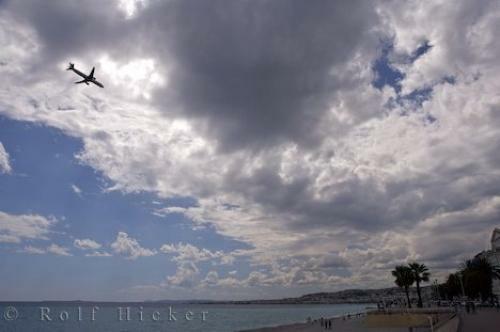 A jet plane arriving at Nice airport in Provence, France. The Aeroport de Nice Cote d Azur is the second largest airport in France and people can watch the arrival of each jet as it soars from above towards the airport. The airport is located about eight kilometers from the centre of town, but there is a good municipal bus service.Jet coming in to land at Nice Airport, Riviera, Provence, Cote d'Azur, France, Europe. Photo of the arrival of a jet plane at the Nice airport near Nice in Provence, France in Europe.